After settling its telecom business in a merger with Reliance Communications, AFK Sistema plans to bring its clothing retail business, Concept Group, and the Children’s World network to India soon, principal owner of the company Vladimir Yevtushenkov said in an interview. The clothing retailer Concept Group (developing the brands Concept Club, Bestia, Infinity Lingerie and Acoola), 40% owned by AFK Sistema, will soon enter the Indian market in partnership with the Tata Group. International expansion is also the main goal of the Children’s World (Detskiy Mir) network, owned by AFK Sistema. “We are now, and I mean the Concept Group, working on developing the concept for launching in India. We are going there in partnership with the Tata Group, one of India’s largest business empires,” Vladimir Yevtushenkov principal owner of AFK Sistema, told Russia 24 television channel during an interview in Davos. He said India has been chosen as the “pilot” for the overseas expansion of AFK Sistema’s retail assets; Children’s World and the Concept Group. “The same thing we want to try in the Arab countries, and in China. 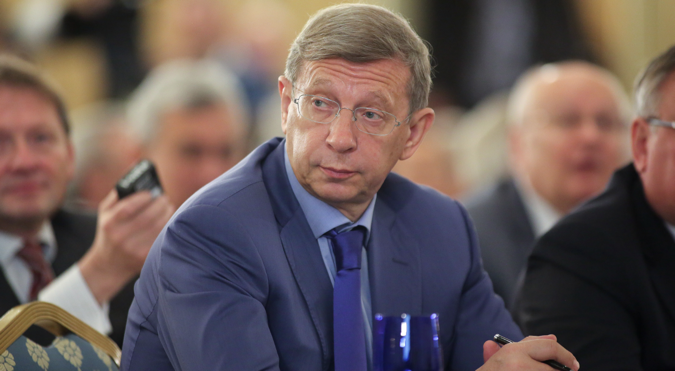 However, first we must learn the ropes when it comes to entering the market in at least one major country,” said Yevtushenkov. International expansion is the main goal set for the Children’s World brand, he said. On the Russian market, this retailer is close to reaching the threshold set by antitrust regulations. “This is not a common product retailer, as its scope is much narrower. If we proceed at such a pace; 200-300 store openings annually; in a year or two, we will saturate the market,” said the entrepreneur. The recent sale of 23% stake in the Children’s World to the Russian-Chinese Investment Fund (RCIF belongs to the Russian Direct Investment Fund and the China Investment Corporation) was needed “to demonstrate a certain benchmark (in terms of market capitalization of the asset), to obtain international expertise, and to attempt spreading the Children’s World beyond national borders,” said Yevtushenkov. “Expansion is not possible without partners, even if these are mere investors,” he said. “We did not make this sale because the Children’s World needed the money. The chain is doing well, and has sufficient financial resources of its own,” said Yevtushenkov. The Children’s World Group brings together the network stores of the Children’s World and ELC. At the end of 2015, the network of 425 stores of the retailer had a combined area of ​​504,000 sq. m. in 148 cities of Russia and Kazakhstan. Revenues of the Children’s World, for the first nine months of 2015, rose 34.1%, reaching 40 billion rubles. The sales revenues of comparable stores (LfL) increased just 13.8%. The retailer OIBDA saw an increase of 30%, reaching 2.9 billion rubles, while its profitability decreased to 7.4%, from 7.6% a year earlier. Net profit of Children’s World in the period January-September of the last year amounted to 657 million rubles, which is 7.2% more than during the same period in 2014. Yevtushenkov also said the fate of the merger of the Indian telecom business of AFK Sistema; the Sistema Shyam TeleServices (SSTL); with one of the largest telecom operators in India, Reliance Communications should be determined in the next 2-3 weeks. “We ran into many problems there. In the next 2-3 weeks, a certain clarity should be achieved”, he said, answering a question about the fate of the deal between SSTL and Reliance Communications. “After that, we will clearly understand that. Yes, we have reached a certain agreement and can move forward, or no, we ran into insurmountable difficulties, but we did everything that was possible on our part. So we will start thinking about what to do next,” he added. In the fall of 2015, AFK Sistema agreed to merge its Indian “affiliate” SSTL with Reliance Communications and signed the relevant documents. During a meeting with Russian President Vladimir Putin and Indian Prime Minister Narendra Modi on December 24, Yevtushenkov said the joint telecommunications company that was being established would become one of the largest in the world, with over 300 million subscribers. The structure of the transaction involves the separation of the telecom business from SSTL and its unification with the business of the Reliance Communications Company, on the basis of the latter, and according to the schema approved by the courts in India. SSTL will hand over its entire telecommunications business to the new company (frequency spectrum, telecommunications infrastructure, including the entire network, the current leasing contracts for infrastructure (towers, sites, and so on), the subscriber base (about 9 million customers), and various obligations). On the balance sheet of SSTL will retain only a small portion of non-core assets. SSTL’s share in the capital of the combined company will be 10%. The market capitalization of Reliance Communications is about $2.5 billion, so this share is estimated at being worth $250 million. The transaction should be finalized sometime during the second quarter of 2016.